This is a continuous job posting. Applications are being accepted for possible future Firefighter job vacancies. Responds to fires, medical emergencies, hazardous materials incidents, rescues, traffic accidents, and other emergency and non-emergency incidents that pose a threat or hazard to life and/or property for the purpose of mitigating these threats. Performs firefighting and emergency medical response as the primary tasks. Operates fire apparatus and equipment, combats fires, and conducting fire education and prevention activities to prevent fires, to save lives and protect property. Daily work usually involves training, readiness drills, and exercises with other fire personnel to maintain job related skills. Work is often performed under emergency conditions and frequently involves personal hazard. Work standards and procedures are well established; however, significant independence and judgment are required of the employee. Work is reviewed by the Fire Captain through observation, reports and discussions. MINIMUM QUALIFICATIONS: High school diploma or equivalent degree supplemented with formal Fire Service training and experience. Valid North Carolina Class C Driver’s License (or equivalent State issued Driver’s License). Responds to fires, medical emergencies, hazardous materials incidents, rescues, traffic accidents, and other emergency and non-emergency incidents that pose a threat or hazard to life and/or property for the purpose of mitigating these threats. An employee in this class performs fire fighting and emergency medical response as the primary tasks. Also involves operating fire apparatus and equipment, combating fires, and conducting fire education and prevention activities to prevent fires, to save lives and protect property. Daily work usually involves training, readiness drills, and exercises with other fire personnel to maintain job related skills. Work is often performed under emergency conditions and frequently involves personal hazard. Work standards and procedures are well established; however, significant independence and judgment are required of the employee. Work is reviewed by the Fire Captain through observation, reports and discussions. Responds on fire apparatus to incidents and performs all basic firefighting, emergency medical technician, and other hazard and threat mitigation functions including making hose and adapter connections, using self-contained breathing apparatus, advancing hose lines, using portable extinguishers, conducting salvage operations, using ground ladders, monitoring radio transmissions and relaying messages, assessing and treating patients, and lifting and moving patients. These functions are often carried out using specialized tools and techniques. Uses hand tools, pneumatic tools, hydraulic tools, and other power tools to carry out functions such as forcing entry into structures, removing smoke and hazardous gases from structures, extrication of patients, and checking for fire extension. After completion of departmental Relief Driver certification, serves as apparatus Driver/Operator when needed. This includes providing safe transport of personnel and equipment, operating the apparatus pump and/or aerial device, making hose and adapter connections, calculating friction loss and pressures, maintaining correct pressures and flows, and communicating with suppression crews and/or command. Participates in departmental and Town-wide programs to establish and maintain strength, endurance, and general wellness. Trains to assure proficiency with all hazard and threat mitigation functions, equipment, apparatus, street locations, and target hazards. Participates in fire prevention and readiness activities including inspections, public education, demonstrating fire extinguishers, demonstrating and installing smoke detectors, preparing preplans, testing and maintenance of fire hydrants, testing and maintenance of apparatus, and testing and maintenance of other equipment. Attends lectures, studies manuals, participates in drills and learns modern techniques to develop and maintain skills. Maintains fire station facilities and grounds by cleaning, sweeping, mopping, painting, washing windows, mowing, landscaping and other associated tasks. Performs other duties as assigned. Ability to produce accurate reports and written documentation. Ability to support the values and goals of the department. Ability to operate as a member of the team and establish and maintain effective relationships with persons encountered in the course of work. Ability to remain in control and make sound decisions during high stress situations. Worker is exposed to the hazards of public safety and emergency services with significant risk of injury or loss of life being present in the work. Risks can be partially controlled by the use of safety precautions. In addition, improper actions can result in significant risk to others. Worker may have contact with potentially infectious bodily fluids. Work required is often carried out while wearing a respirator or self-contained breathing apparatus. Work may also be required to be performed in confined, high or elevated areas as well as in low visibility conditions. Must possess the visual acuity to operate apparatus and other equipment. Must be able to perform heavy work exerting up to 100 pounds of force occasionally, 50 pounds of force frequently and up to 20 pounds of force constantly. High school diploma or equivalent degree supplemented with formal Fire Service training and experience, sufficient to meet the special requirements of the classification. 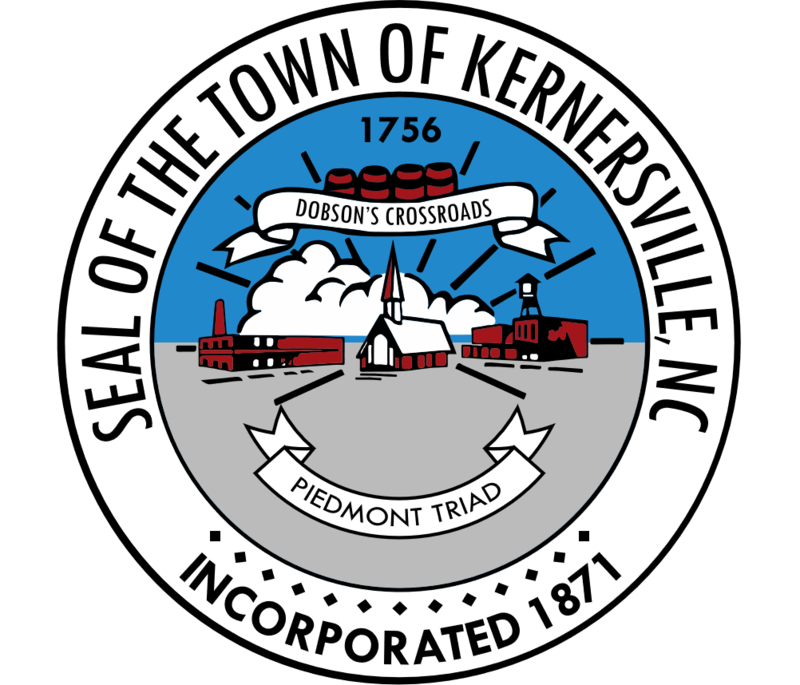 The purpose of this section is to provide employees a guide for future advancement within the structure of the Kernersville Fire Rescue Department. This plan allows for employee advancement through skill development, educational attainment, job proficiency, and acceptable performance. Displays willingness and ability to support the values and goals of the department. Displays knowledge and proficiency with regards to incidents and mitigation. Displays knowledge and proficiency in the use, maintenance and checks of all assigned equipment and facilities. Displays willingness and proficiency in training and fire prevention activities. Displays willingness to participate in departmental and Town-wide programs to establish and maintain strength, endurance, and general wellness. Displays willingness and ability to produce accurate reports and written documentation. Displays willingness and the ability to read and understand technical materials. Displays willingness and ability to understand and follow oral and written instructions. Displays willingness and ability to operate as a member of the team and establish and maintain effective relationships with persons encountered in the course of work. Displays willingness and ability to remain in control and make sound decisions during high stress situations. Required Certifications (in addition to FFI Requirements)- North Carolina Technical Rescuer General (2013 or Equivalent) Certification, North Carolina Technical Rescuer Vehicle Rescue (2013 or Equivalent) Certification, KFRD Relief Driver (internal certification), and NC Class B Driver’s License or equivalent State issued Driver’s License. Demonstrates competency to serve as apparatus Driver/Operator when needed. Functions include: Operating the apparatus pump and/or aerial device within tolerances, making effective hose and adapter connections, accurately calculating friction loss and pressures, using correct techniques to maintain correct pressures and flows, and effective communication with suppression crews and/or command. Providing safe transport of personnel and equipment. Displays willingness and ability to prioritize and multi tasks as well as delegate tasks to others. Serving as a mentor for other Firefighters.